If doctors only gave you months to live, how would you spend it? Unfortunately, that’s the harsh reality that Greg Thomas found himself facing when he was diagnosed with stage-four cancer at just 57 years old. Doctors told his family to start planning his funeral and to prepare for the worst. Though his body continued to grow weaker, Greg managed to take regular walks with his beloved dog through the Minnesota countryside. One day, the pair took a different path than usual and found a completely unexpected treasure. Greg walked up on a 150-year-old abandoned church that had been built by Czech settlers. The paint was peeling off, the roof was tattered and with just a peek inside, Greg could tell that the floor had rotted. The once-beautiful structure was badly decaying, and no one had prayed inside for nearly a century. 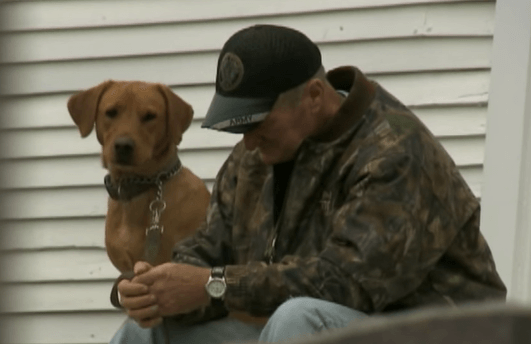 The dying man took a seat on the front steps, and with his dog by his side, he began to weep—praying for a miracle. That’s when God showed up. He felt a sudden urge to enter the church. The only problem was, the doors were locked tight. Greg made it his mission to fix up the old church. So he went and found a neighbor, who sent him to the treasurer of the foundation that keeps up and maintains the church’s cemetery. He told the groundskeeper that he wanted to paint the church. With his blessing, Greg did just that. The more he restored the place, the deeper a connection he had with it. Eventually, he got inside. Once inside, Greg found himself almost back in time, in an 1860s church. Still fully intact and just the way the previous congregation had left it. It was beautiful. God has a funny sense of humor, that’s for sure. Greg came across this church and had every desire to heal it—all the while, the church was really healing him. Not long after the church got a fresh coat of paint, and some much needed TLC, Greg found out he was in remission. Much like the church, Greg is a survivor. He’s now free of cancer, and full of faith.